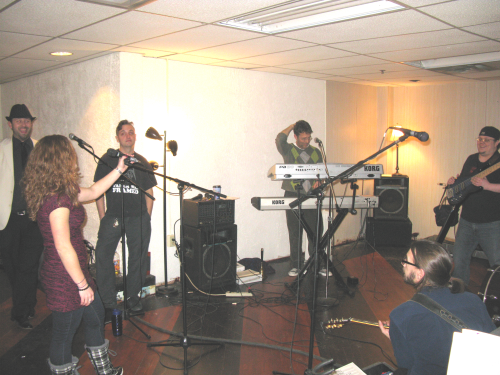 The first Radio Free Charleston of 2011 is a very special show. As you can see above, it’s a “fly on the wall” preview of Charleston’s own Beatles tribute band, Rubber Soul, as they prepare for this weekend’s performance of “The Beatles (The White Album)” in St. Albans. 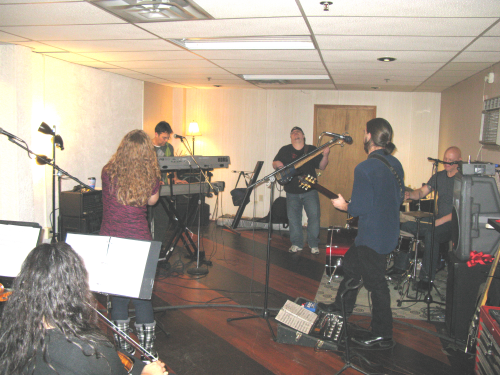 This weekend’s shows are benefit performances for Ronald McDonald House, and will take place at The Alban Arts and Conference Center at 65 Olde Main in St. Albans. Show time is 8 PM, and tickets are ten dollars. We shot all of the performances in this show Monday night at Greg Hunt’s studio on Bigley Avenue, right when the tractor-trailer flipped over on the I 64/77 split, spilling parts of the cab just down the street. This is the first episode of the show entirely shot, edited and uploaded in less than 24 hours. You’ll get to see three complete songs in this episode of RFC: “Back in the USSR,” with lead vocals by Chris Conard; “Dear Prudence,” sung by Michelle Melton; and “Yer Blues,” sung by Joey Collier. 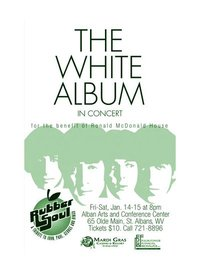 You’ll also see snippets of other White Album classics, with vocal turns by Rubber Soul’s leader, Mark Scarpelli, guitarist, Greg Hunt, and drummer, Brian Holstine. Other featured instrumentalists seen in the show are Jamie Skeen on bass, Alasha Al-Qudwah on viola, Jeremy Severn on Trumpet and Kathy Coyle on woodwinds. A view from the back of the studio. It’s always gutsy for a band to let cameras in to record a rehearsal, and I want to thank Mark Scarpelli for, once again, letting the RFC crew invade his space during what is essentially “tech week” for this show. Speaking of the RFC crew, for this episode, RFC Big Shot Melanie Larch and myself were joined by HARRAH frontman/Ozzy Osbourne channeler, Lee Harrah on camera three. I mention this because, due to the layout of the studio, all of us wind up on camera several times during the show. 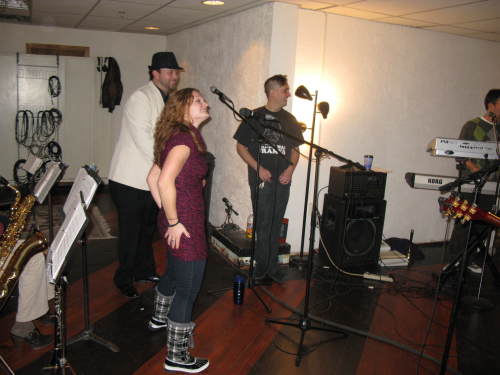 The featured vocalists look on. So, go see the show this weekend! It’s great music for a good cause! Radio Free Charleston will return in a week or so with our next big episode! The Cool Comics will appear late Thursday this week.